If you’re thinking about trying a new nursing bra, you should read this YooToo Maternity and Nursing Bra Review. I was not financially compensated for this yootoo maternity and nursing bra review post. I received a sample for review purposes. The opinions are completely my own based on my experience. Also, this post contains affiliate links, but nothing that I wouldn’t wholeheartedly recommend anyway! Read my full disclosure here. When I received my yootoo maternity and nursing bra, I had already been a couple months into the whole breastfeeding game. I had tried out a few different brands of nursing bras and determined what I needed, what I liked and what I don’t like. The yootoo bra is also a maternity bra. 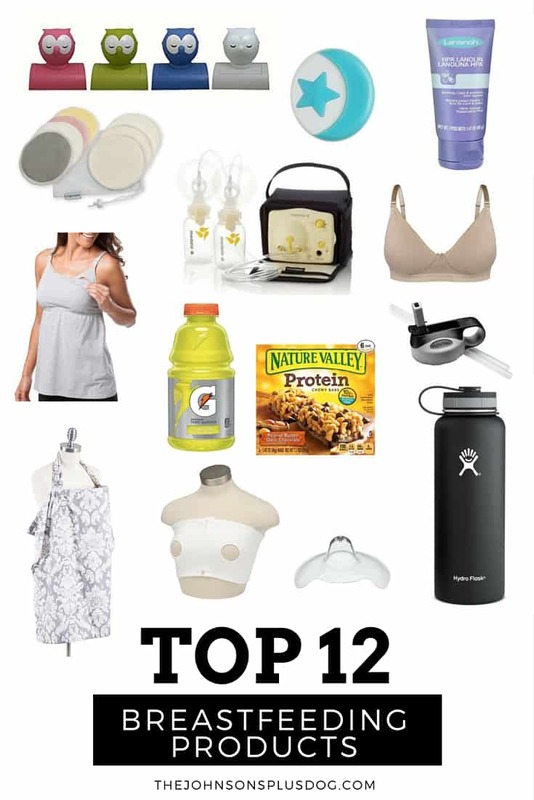 I didn’t even think about getting something like a maternity bra when I was pregnant, but it would have come in handy! I had to switch to wearing seamless stretchy bras because nothing else was comfortable enough. Having the yootoo back then would have been a God-send. I waited to write this review until I’ve worn the bra a handful of times so I can see how the bra holds up to washing and wearing. Today it still looks and feels as good as new. The yootoo maternity and nursing bra features a low-plunging v-neck (more so than my other bras) so it works great for any lower cut shirts. The material is breathable and comfortable even in the hot summer months and to sleep ( or NOT sleep 🙂 ) in all night long. I think one of the most important things when looking for a nursing bra is easy access. If you can unclip it with one hand, it’s MONEY…because when you’ve got a baby in your hands that is screaming at the top of their lungs demanding to be fed, you will appreciate those extra few seconds. I am able to easily unclip the straps with one hand on the yootoo bra. The sling keeps bra and nursing pads in place as you move around and pick up your little one for the thousandth time today. One great thing about the yootoo bra is that it will grow with you throughout your pregnancy and into your nursing experience, they call it the UGrow knit. There are multiple clasps in the back to provide tons of sizing options. The sides of the bra are stretchy as well. Even after the baby comes, your body will undergo some MAJOR changes and it’s great that you can count on this bra to be able to fit throughout those changes. I used their sizing chart online and was a little worried that it wasn’t going to fit right because they only offer S to XL and then S+ to XL+, rather than the standard bra/cup sizes. However, it fit great once it arrives and still fits great after multiple washes and wears. If you need more reasons to purchase the yootoo maternity and nursing bra, you’ll be happy to know that they support an awesome charity called Every Mother Counts that helps mothers in the developing world get the basic things they need, like proper nutrition, medical care and transportation. A portion of every purchase goes to these mommies in need. Also, all yootoo bras that are returned are donated to local mothers in need here in the U.S. The price is $45-54 on Amazon, a little steeper than the other nursing bras I had purchased at Walmart and Target, but the higher quality is noticeable. I am confident that this bra will last me until I’m done nursing (hoping to be able to make it until Cal is 12 months old). I’ll have to share this with my cousin, she’s expecting her third child soon! Thanks for sharing at Merry Monday! Yes, please do! I am still loving this bra the more I wear it! Thanks for stopping by.